Over the years, people have asked for copies of this or that recipe, or one of my poems. This site originally (1996) grew out of that impetus, and a curiosity about ‘html’. A friend of ours at the time used to refer to his visits to us as visiting ‘the Rigdenage‘. I quite liked the quirkiness of the name and unsurprisingly that domain was still available in the 90s. So I applied for it and have used it ever since. I write poetry, some of which I’ve included here. 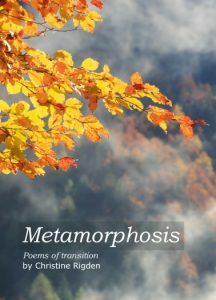 More can be found in my books Mis-Steps and Dances and the recently-published Metamorphosis: poems of transition. I develop recipes which are designed to have lots of flavour, be quick and easy to make, and to yield plenty of portions! 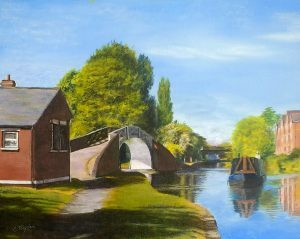 A selection of my work so far since beginning in 2011, first in watercolours, later in acrylic and oils. See more about my previous work, as well as articles related to Type and coaching, on my LinkedIn page. I’m trying to reduce my use of plastic from a fairly normal starting base, yet with my other concerns not ignored (food miles, Fair Trade, intensive farming, etc). These are my ad-hoc comments on my research and explorations. 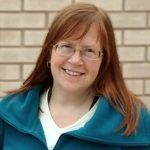 I am a qualified and experienced Career and Life coach, and can help you to know yourself – who you are, what you want to do or become – and to support you as you work out your goals and how to reach for them. The content is what you want – I help with structuring your search. See Insights for Change for details, and contact me if you’d like to know more.